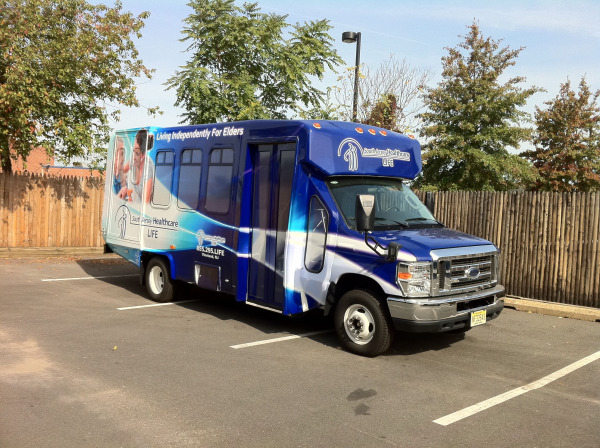 South Jersey LIFE Wraps Diamond Coach Ford Buses in Cumberland County NJ With Bus Wraps! South Jersey Healthcare’s (SJH) LIFE program allows seniors to live independently at home and still have their medical needs met and monitored by an entire team of healthcare professionals. The program, LIFE (Living Independently for Elders) serves all of Cumberland County and parts of Salem and Gloucester counties.